Employment and retail sales in Germany are holding up even as the economy, the biggest in Europe, slows down and analysts conclude that annual growth of 3.0 percent remains within reach. With global markets following closely any pointer to growth, or recession threat, in Europe and the United States the picture in Germany is of key interest. Economic activity slowed almost to a halt in the second quarter of the year, and officials in Berlin have been hoping that household spending will pick up some of the slack from exports, Germany's traditional growth engine. In August, unemployment was unchanged at 7.0 percent of the workforce, the federal labour office said, as the seasonally-adjusted number of people seeking work decreased by 8,000 to continue the slower pace of decline seen in recent months. "Despite weaker growth of the German economy, the labour market situation improved again," albeit very slightly, the office commented in a statement. ING senior economist Carsten Brzeski noted that while German employment data was resistant, "it would be naÃ¯ve to think that the labour market could be totally immune against the debt crisis and the economic slowdown. "With employment at historical highs, favourable demographics and an economy that is slowing but not contracting, the labour market should remain growth-supportive," he forecast. UniCredit economist Alexander Koch said the adjusted level of unemployment was at its lowest level since May 1992. 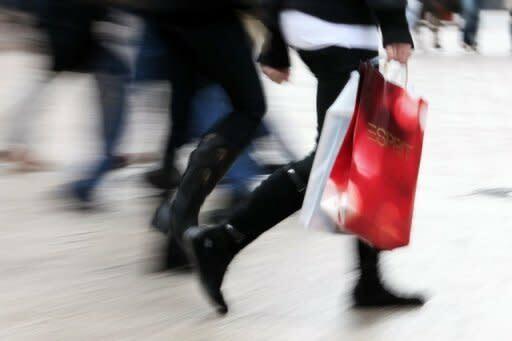 Meanwhile seasonally-adjusted German retail sales were unchanged in July from the previous month, the national statistics office said, after leaping in June by a revised 4.5 percent. Analysts had forecast a seasonally-adjusted drop of 2.0 percent on the month, but the indicator is volatile and subject to frequent revisions. Last week, a survey by the GfK research institute found that German consumer sentiment had been hit by the trans-Atlantic debt crisis and fears of a new economic recession, falling to its lowest level since late last year. But Commerzbank analyst Ulrike Rondorf and others found reason for cheer in the unchanged sales data, given the strong gain in June. "It means that sales in July are well above the average for the second quarter," Rondorf said. While expecting weaker second-half growth, she added that "as long as the sovereign debt crisis does not escalate and an uncertainty shock occurs -- and there are no signs of this happening yet -- the upswing should continue." 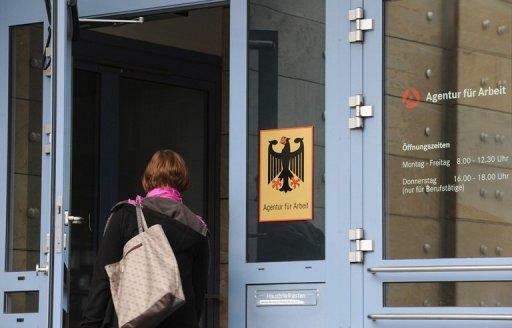 German officials estimate that economic activity will expand by around 3.0 percent this year. "The underlying domestic fundamentals remain very healthy," Berenberg Bank chief economist Holger Schmieding agreed. "Once confidence returns after the end of the current turbulences, German domestic demand looks set to turn into a major driver of German and European growth (as it had already been in late 2010 and the first quarter of 2011)," he said.